Watering bonsai is the most vital part of caring for one. 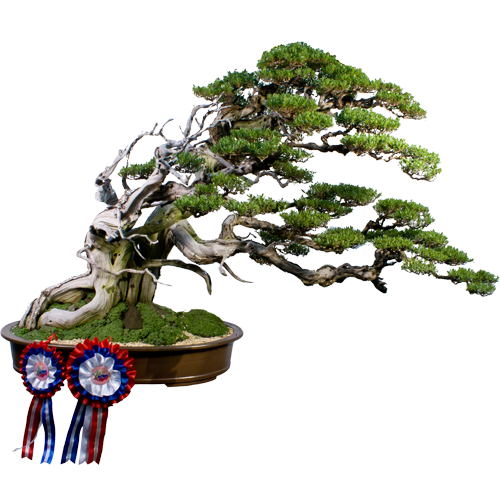 The most common cause of bonsai death is dehydration due to low humidity or lack of watering. When taking care of bonsai, or any other plants for that matter, it is important to know the type of soil used. Each species of trees require varying amount of water. Another factor to consider is the pot used to house the tree. Over watering trees can also damage the bonsai tree. This is why it is important to find the right combination of water, soil, and air to maintain a healthy root system of a bonsai. 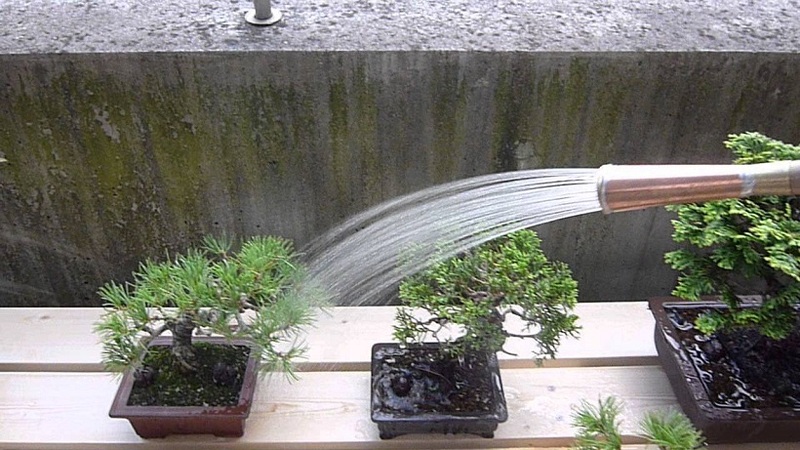 Providing water to the tree is the obvious reason why watering bonsai is important. The water then flows through the soil and carries nutrients required by the bonsai and removes the excess salts that could build up. The water flow also extracts the spent gasses from the soil and brings in fresh ones. There is a misconception about how transpiration in plants only happens in the leaves. The roots also have a large part in the process. This is why the first layer of soil is vital to the bonsai tree’s functions. It is through this dependence of the shallow soil profile that allows people to grow trees in low-pots. Soil must be porous to allow water to flow faster and create a better exchange of gas. This is also the reason why soil used in growing bonsai is granular in nature. It allows the tree to develop a dense root system to support equally dense foliage. A bonsai tree must be watered three times. One is for the pot, another for the soil, and the last one for the tree itself. Watering the tree three times will allow the water to be absorbed by the soil as well as the pot. The three one is to give the tree a chance to take in the water. Keep in mind that all parts of the plant soak in water. 35 per cent of the water absorbed by the tree doesn’t involve the roots. This is why it is important to wash off the leaves to keep dust from clogging the stomata. It is also best practice to totally immerse the pot in water until there’s no bubble trail when watering bonsai. This ensures that the soil and pot absorb the maximum amount of water. It makes it easier to keep a bonsai tree hydrated throughout the week. Watering bonsai is a must-have skill. It is an integral part of caring for the tree. It is a complex process that should be learned in order to take care of the tree properly.